Her stoutly giant was suddenly tender footed. So like any good mom, she took him in. Within a week, a grapefruit sized mass appeared on his wrist. And, as per the Vet’s advice, in a month or so she scheduled a follow-up. 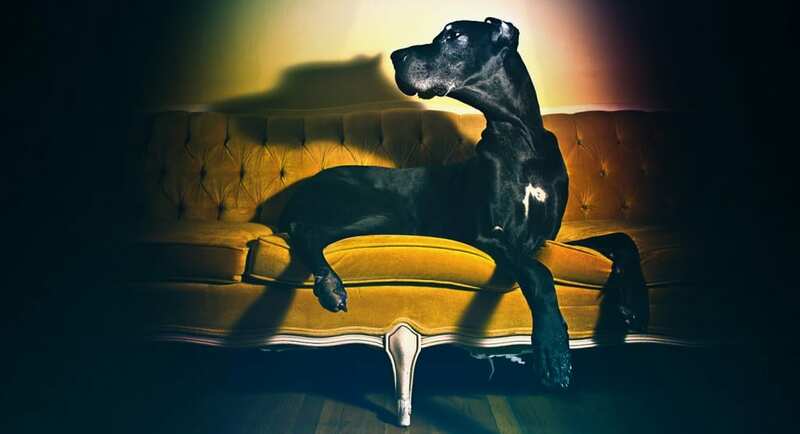 Not to examine the Dane’s foot, but to end the pain that had rapidly ravaged her best friend. Thunderbear wasn’t her only dog. He wasn’t even her only Great Dane. 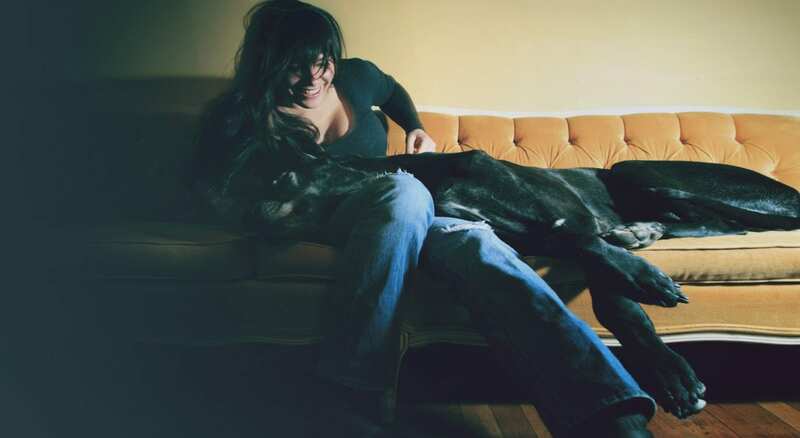 “It was Thunderbear who had made me first fall in love with the breed and get serious about rescuing these behemoths”, she told me in between sips of coffee, patting a black and white spotted Dane on the haunches and nodding to the canvas print above her. It was a sunny but chilly early Spring day. A year had passed since our first session with Thunderbear. We had snuck in a rushed night session not long after the tumor had made itself known to the world. She had brought me back to shoot the rest of her “boys”, as she calls them, as well as her recent adoption, a wobbly-limbed Dane puppy, named Gunther. I had arrived shortly, schlubbing a slew of photo gear, lights and stands. “I’m just glad you got here as soon as you did – while he was still his spritely self”, cracking a smile as she cocked her head to get a better look at the print. Through the smile, it was obvious she was struggling to hold back a tear. Thunderbear and his images, have always held a special place in my heart. It’s hard to imagine at this point, but I haven’t always photographed dogs – not professionally at least – and Thunderbear was my very first “dog gig”. 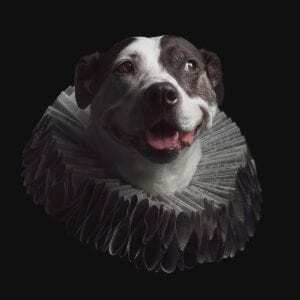 She was a friend, not necessarily a close one, at least at the time, but a friend that was familiar with my human portrait work who happened to know I was a dog lover. And not knowing who else to go to for dog photos, she turned to me. What she couldn’t have known was how raw the session was for me as well, as my own best friend, Blackjack, passed just weeks before. In a single instance, I realized both the best and worst case scenarios. I witnessed the bittersweet joy of a canine widow who realized the significance of a moment while in the moment – all while processing the regret and guilt of my own neglect. When I reflect on that moment, the importance of our work at the Puptrait Studio is obvious. While the imagery we create is fun, whimsical and often all too cheesy, we take our sessions seriously because the emotions associated with our work and the inevitable relationships we develop with our clients are undoubtedly heavy. It’s not uncommon when I chat with other photographers or industry types and they write off pet portraiture as something less than art, much in the same way they discard the notion of infant photography as consumer fluff. And to be fair, in many ways we are similar to a cheesy infant portrait studio but with one major exception – every one of our subjects will be outlived by their parents. With a dog, it’s not a matter of “if” or “when”, rather it’s a matter of “how soon”. And while this thought is certainly morbid to entertain, it is important for us to realize nonetheless. Because at the time of our shoot, while a client may have written of their experience with us as just something they purchased off of Groupon on a whim or simply as something fun to do, there will come a moment – maybe in 10 years, maybe in 15 – a moment when these cheesy or ridiculous photos are unquestionably the most important thing in their recently shattered world. And it is that moment that we work for, ensuring that our clients, when they can’t help but cry are holding something guaranteed to make them crack a smile. Sounds good, Sandy. We look forward to working with you!